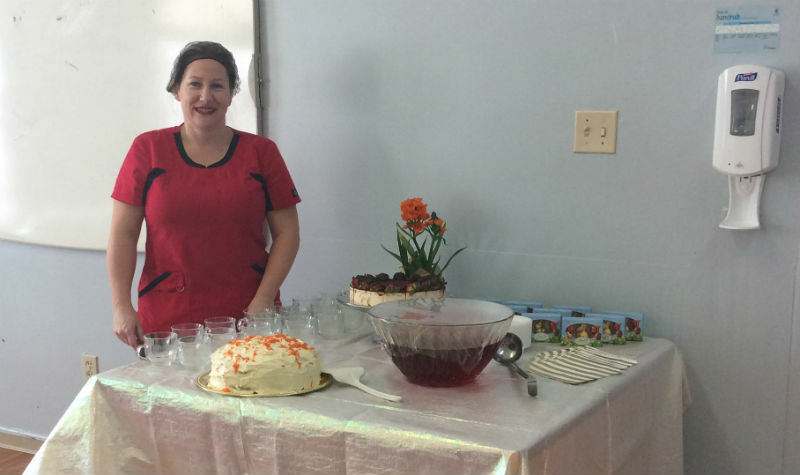 Willows Estate nutritional care team member Charlene Robinson takes a break with desserts. 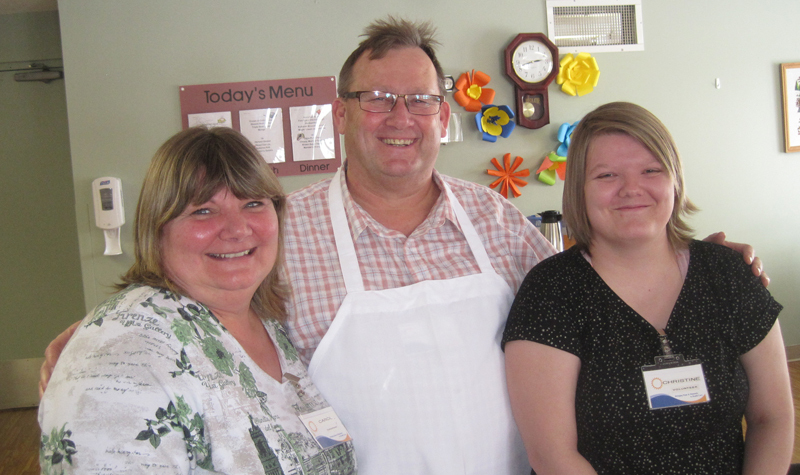 She prepared a roast beef dinner recently to honour the Aurora long-term care home’s volunteers. 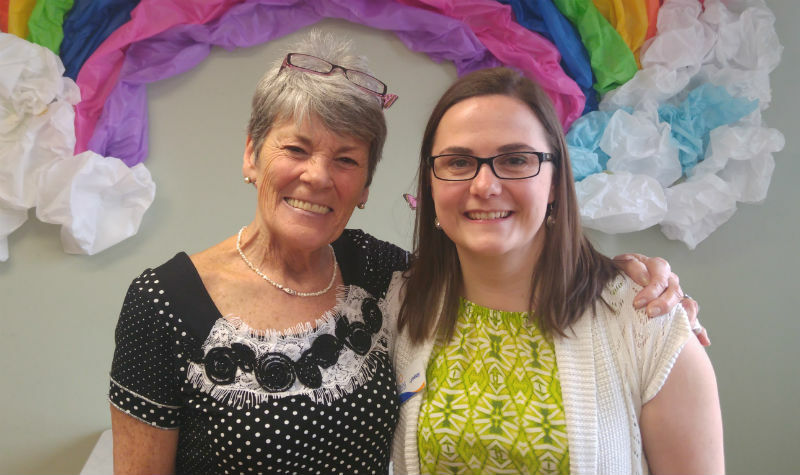 Volunteer Helene Waddell (left) and life enrichment co-ordinator Lyndsay Burton are pictured here during Frost Manor’s annual volunteer appreciation luncheon April 5. 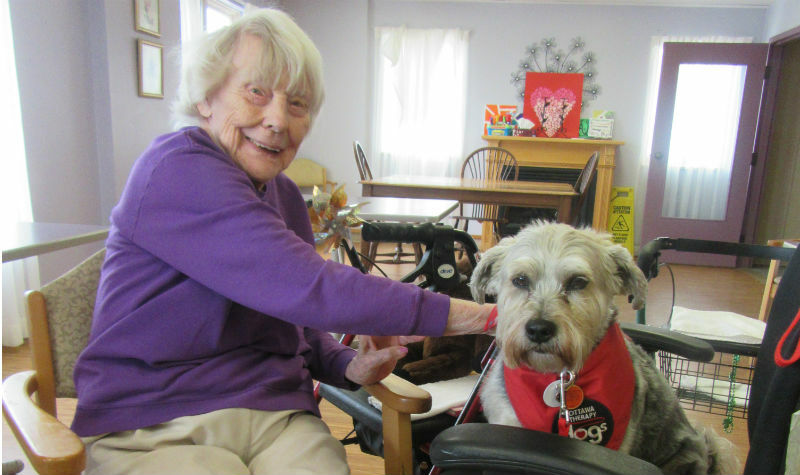 Forest Hill resident Shirley Grant pets Vezna, a schnauzer mix, who visits residents with her owner, Sharon MacDonald. Sharon and Vezna volunteer at Forest Hill through Ottawa Therapy Dogs. 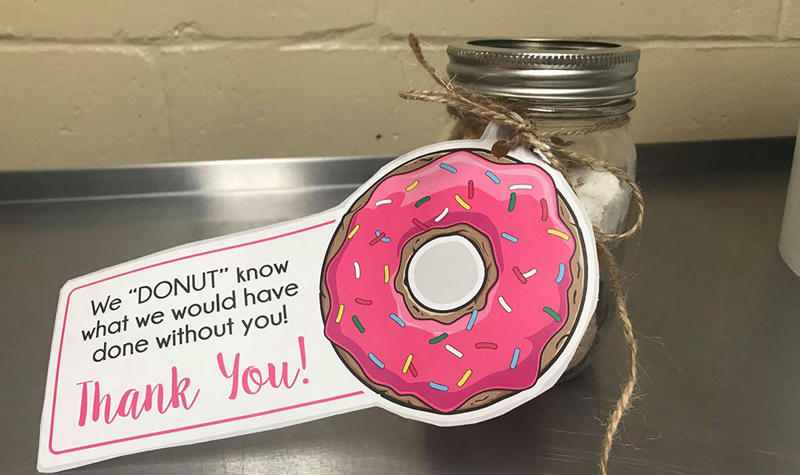 Volunteering is a sweet affair at Maplewood. 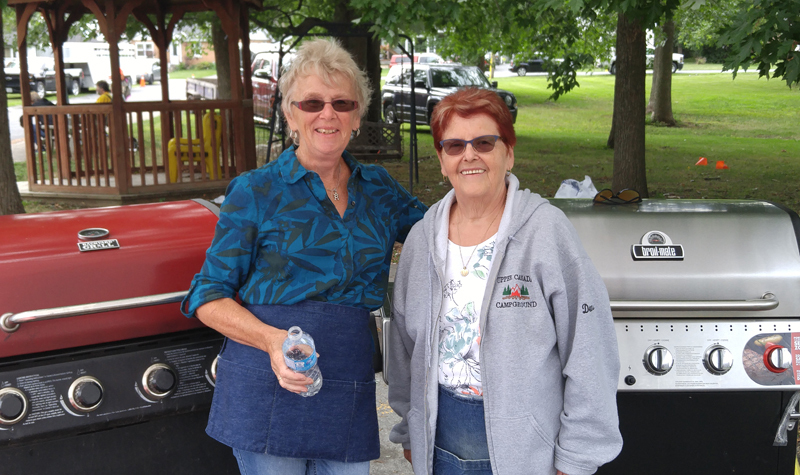 Mary Lalonde (left) and Denise Legault volunteered once again at Woodland Villa’s annual Country Fair. Frost Manor volunteers Carol Gadsden (left) and Christine Rose (right) are seen here with the home’s environmental services manager Rick Riel. LINDSAY, Ont. 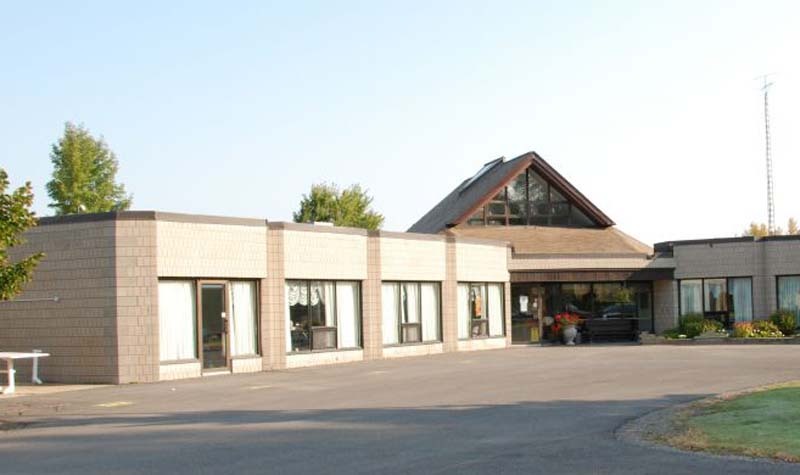 – Frost Manor volunteers Christine Rose and Carol Gadsden will offer their help anywhere it’s needed at the Lindsay long-term care home, but the duo plays a particularly important role keeping the 62 residents safe. Working together, Christine and Carol help environmental services manager Rick Riel and his team with infection control. They pay extra attention to sanitizing high-risk areas of the home, such as hand rails, baseboards and doorknobs. 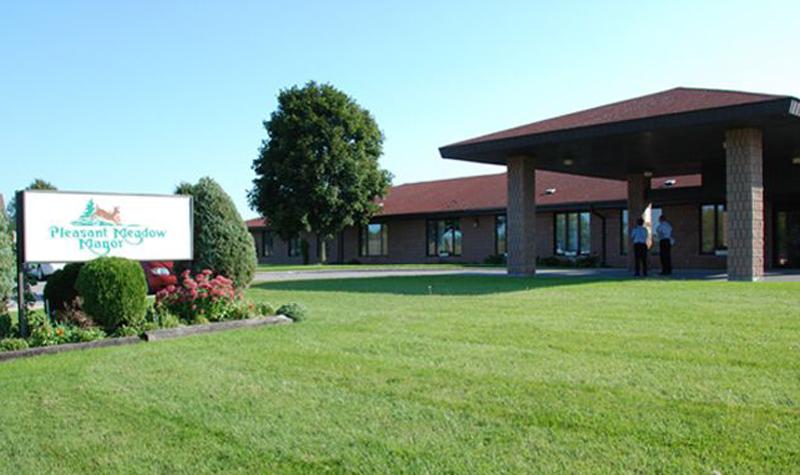 “They play a very important part (of infection control),” Rick tells The OMNIway. “We have only had one outbreak this year, and that’s a testament to all of the staff, but Christine and Carol come in and they do extra cleaning that the staff probably wouldn’t get to. 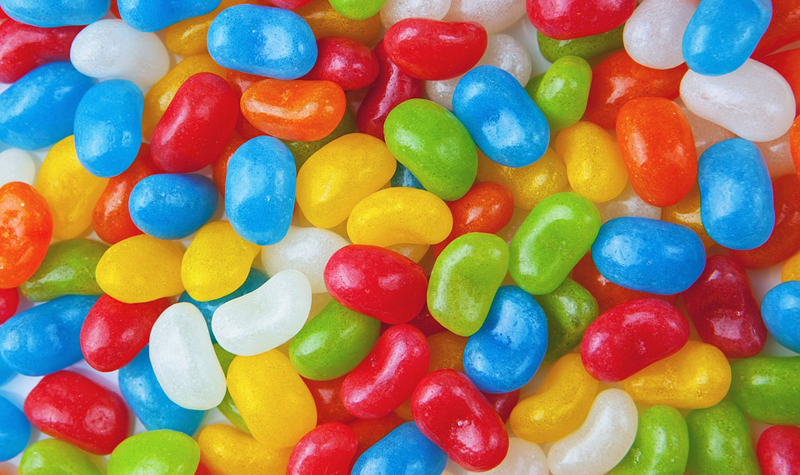 … They give a double boost to the infection control process. “They are an integral part of improving the residents’ quality of life,” Rick adds. Christine and Carol also help with the laundry. Having two sets of extra hands helping with laundry ensures the laundry team never falls behind schedule, which is important since the home has a policy of getting residents their clean clothes returned to them within 24 hours, Rick notes. “And Rick always keeps us involved in things, too,” Carol adds. 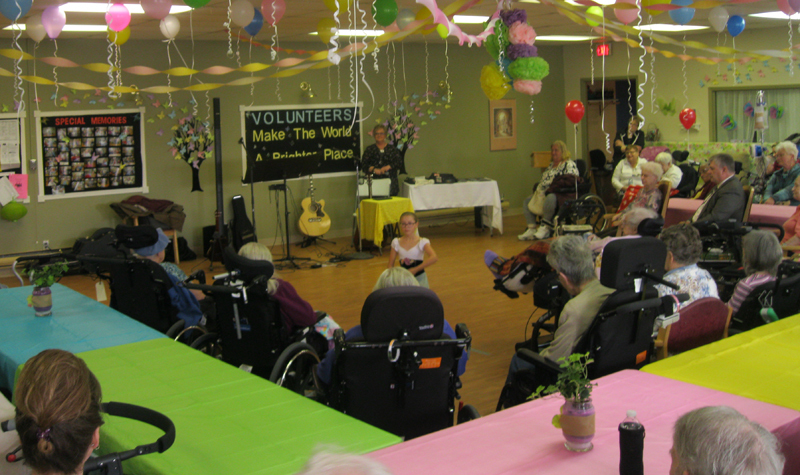 Christine and Carol were among the volunteers honoured with a special luncheon on April 19. Nutritional care manager Zach Jarvis and his team prepared a lunch of pork chops with a rosemary-sage cream sauce, roasted potatoes and vegetables, with cheesecake for dessert. Lyndsay gave a speech thanking all volunteers for their work and dedication to residents.